Health Fund rebates available. Please check with your provider. Alternatively, arrange your own class for 1-3 people at a place and time of your choice. Read below for more information about small group yoga classes. different résumés. … It's why human culture is so interesting and diverse and dynamic. "Since starting yoga with Anna I have had less performance anxiety, been able to connect my breath with my playing and have less muscle tightness and pain in my lower back. The classes leave me feeling relaxed and I've noticed that I always sleep well after each session. I would recommend yoga classes at AYAMA to musicians. The individual focus is hard to find at other classes and ensures that we are doing postures safely." ﻿"I was hesitant to start yoga as I had not really enjoyed it in the past however, I now look forward to my classes each week as they are basically the only time that I can just focus completely on myself. I like that in each class Anna gives us something new to focus on and to take into our music practice for the week. I definitely do not get as sore or tired when I practice or in general since starting yoga. 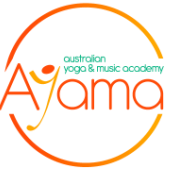 I would recommend classes at AYAMA to other musicians because I think yoga compliments musical performance so well and can help bring out the best in our playing! Anna is a wonderful yoga teacher who makes yoga practice so relevant to life! " Since starting yoga with Anna I have had less performance anxiety, been able to connect my breath with my playing and have less muscles tightness and pain in my lower back. The classes leave me feeling relaxed and I’ve noticed that I always sleep well after each session. I would especially recommend yoga classes at AYAMA to musicians. The individual focus is hard to find at other classes and ensures that we are doing postures safely. The focus on music and Anna’s knowledge of our instruments helps her to understand what specific postural issues we might have. The small class size adds something that I haven't had in a yoga class before and means that the sessions feel more personal and can be tailored to suit everyone. "A teacher is not just the supplier of knowledge. He is the one that invokes your hunger for it….A teacher never makes the student; it is always the student who makes a teacher. A teacher is only a teacher for the purpose of the student"
Anna also teaches yoga classes at Sentient Being in Eltham on Wednesday and Friday. A class that gives you the opportunity to practice both yoga styles offered at AYAMA. The session will begin with Calligraphy Yoga sequences followed by a Hatha Vinyasa class. Although the integrity of each individual style is maintained, this combined practice allows you to explore how both yoga practices complement and even enhance each other. * An introductory class is included in addition to your 5 or 10 class each package. A $50 deposit is payable before your introductory class and the remainder due after your next session. A class that gives you the opportunity to practice both yoga styles offered at AYAMA. The session will begin with Calligraphy Yoga sequences followed by a Hatha Vinyasa class. Although the integrity of each individual style is maintained, this combined practice allows you to explore how both yoga practices complement and enhance each other. spectacular city views. Tickets may be purchased online. AYAMA offers the opportunity to arrange a yoga class for up to 3 people at a place and time of your choice! If you can't make it to a weekly session at the AYAMA studio this allows you the flexibility to create a yoga class time that works for you and your friends. Special discounted rates are available for music students when purchasing classes in blocks of 5 or 10 sessions. This class draws on traditional yoga postures with particular influence from the Ashtanga Vinyasa Yoga tradition. Postures are linked together in flowing sequences with each physical movement guided by your breath. There is not a set sequence of postures so expect something a little different each time! Classes will be adapted to suit the energy and experience of the students in each particular session. No prior experience is required to attend this class. Hatha Vinyasa Yoga is designed to increase strength and flexibility, reduce stress, and improve overall physical and mental health. Careful attention is given to alignment and safe movement patterns while each class aims to create an environment where even the most dynamic and challenging physical practice is experienced as a moving meditation. There is an opportunity to discuss any health or injury concerns with your teacher before each class.